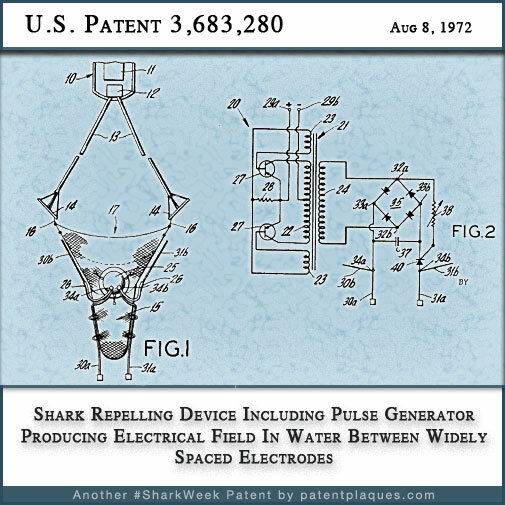 So, to commemorate the occasion, I thought I’d dive in to the patent database and see what interesting shark-centric patents I could find to share. 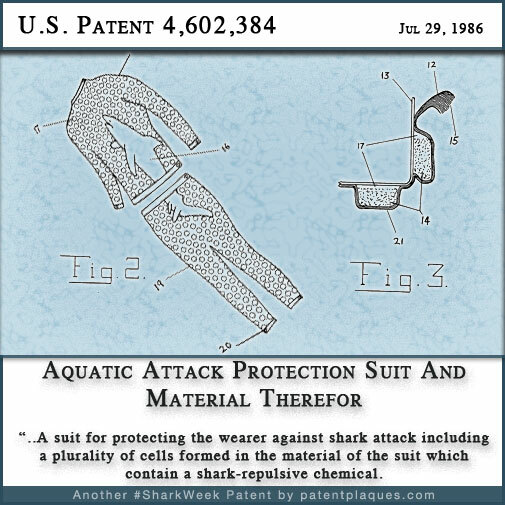 Who would have thought that “shark repellant” “shark suit” and “shark cage” alone would turn up over 12,000 different shark-related patents? 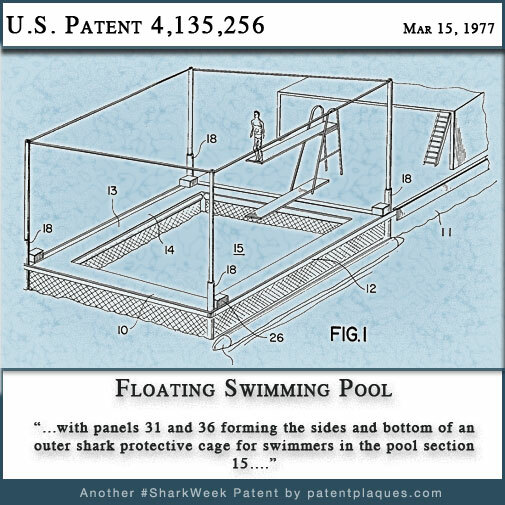 Ever wanted to swim with the sharks? Here’s your chance. 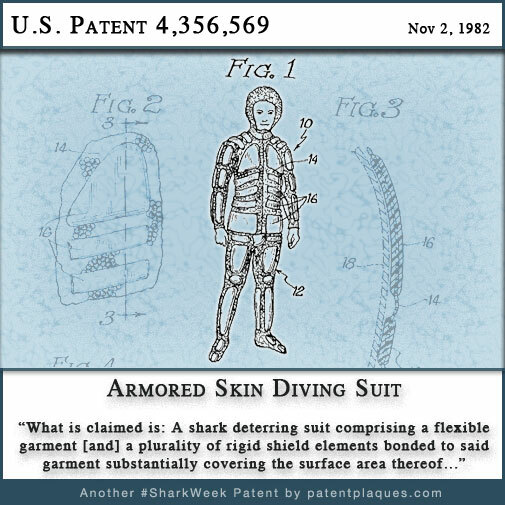 It’s designed to be worn “like a chain mail” over a regular wet suit. The material is hard to cut, AND it tastes disgusting! US 3683280 – The title says it all, don’t you think? 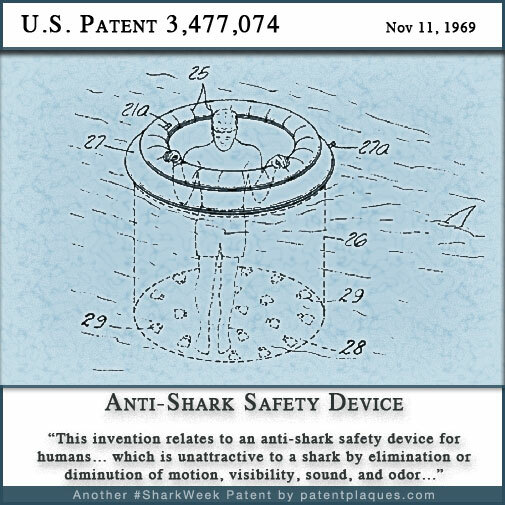 Avoid shark bites AND the bends with this handy little underwater vehicle! 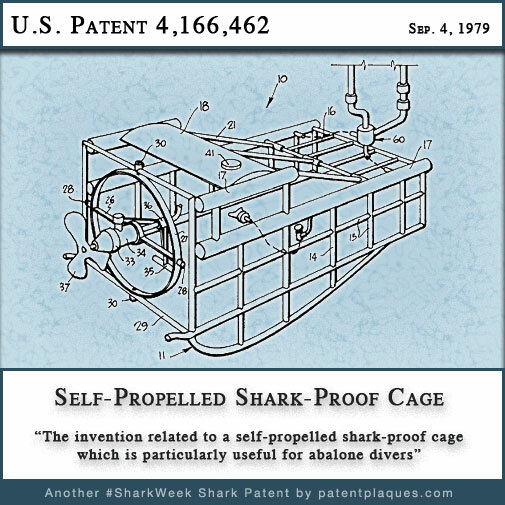 What’s your favorite shark-related patent? Tell us in the comments! Want more Shark Week? Get it here!